Designed by J. Michael Poellet and opened in 1992, Lakewood Country Club is famous for its array of beautiful shrubs and flowers that can be seen throughout the course. The course incorporates three nine-hole tracks- Lake, Rock and Wood all of which have some spectacular dog-leg holes, many featured water hazards and a clever arrangement of bunkers perfectly positioned. 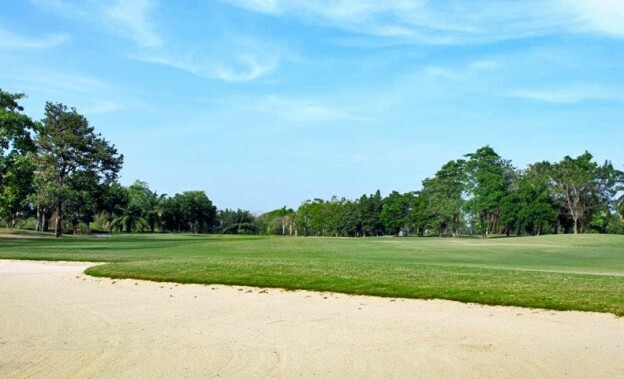 A round of golf on this magnificent golf course will be a truly memorable experience with many challenging holes and tricky greens Lakewood will be remembered as one of Bangkok’s best courses. The course is complimented by a palatial clubhouse with excellent facilities and an outstanding international restaurant.